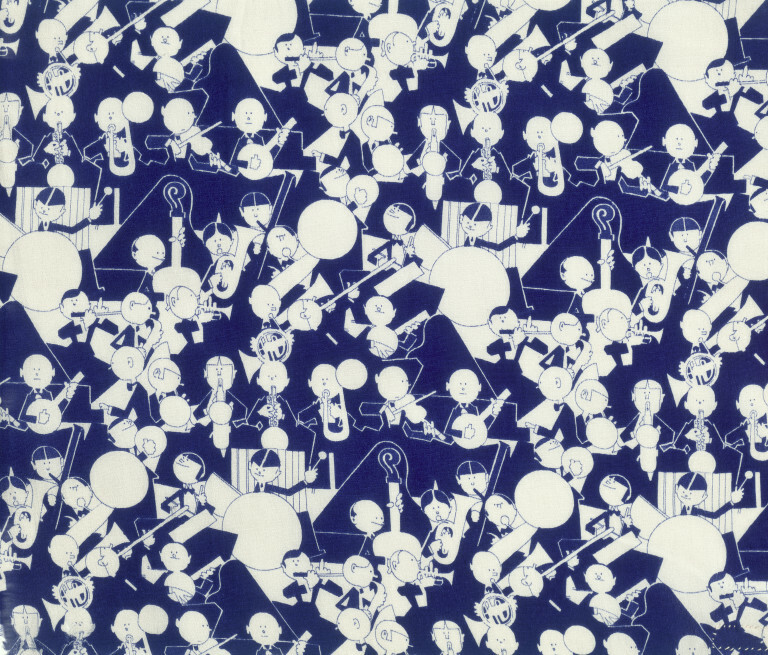 Printed silk crêpe-de-chine with all-over repeat pattern of a jazz band, in white on royal blue. 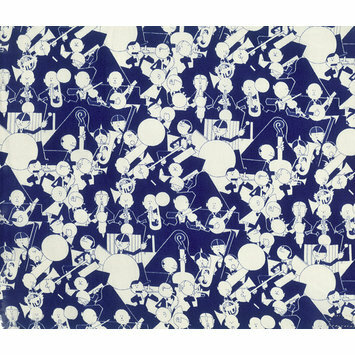 An "Americana" print. printed, 1927, USA; Held, John for Stehli Silks. "Rhapsody"